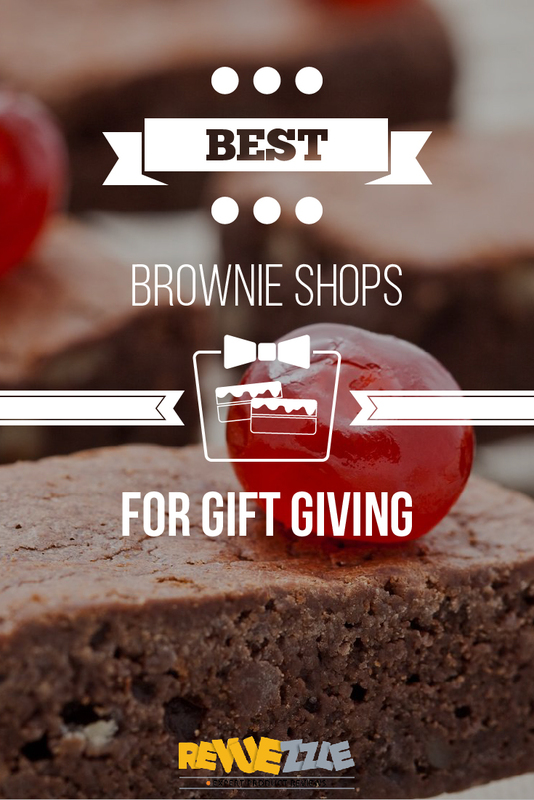 What could be better than giving the gift of fresh baked brownies? Our editor’s Best Brownies for Gift-Giving were selected based on variety, special occasion and holiday offerings and festive gift-wrapping options. Shopping at any of the delightful bakeries included in this list will ensure you find the ideal gift for every life event. 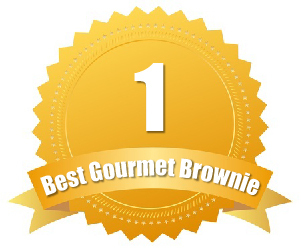 Ruth’s Brownie Bakery is a wonderful source for decadent brownies, cookies, biscotti and gifts. Ruth’s Brownie Kitchen offers a wide selection of gourmet gift baskets, towers and assortments—with something for everyone on your list. Some of their specialty basket options, all with fun names, include their Birthday Basket and their Death by Chocolate Basket. 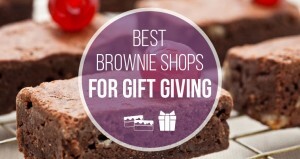 Assortment options include a Brownies to Die for Gift Assortment and a Cookies to Die for Gift Assortment. Every gift purchase from Ruth’s Brownie Kitchen is carefully packaged in the bakery’s signature pink boxes with handles. If you are shopping for a specific holiday or event, Ruth’s offers a variety of special occasion-themed wrapping options for an additional $3.50 charge. Just a few of the specialty wrapping options include: Happy Birthday, Christmas and Valentine’s Day. 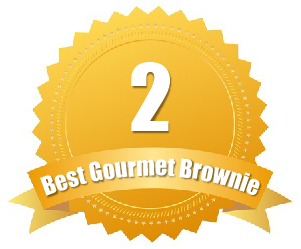 Brownies from Ruth’s start at $19.99 for a half-dozen and top off at $79.99 for two-dozen of their gourmet goodies. Their popular baskets and assortment range in price from $39.99 to $159.99. 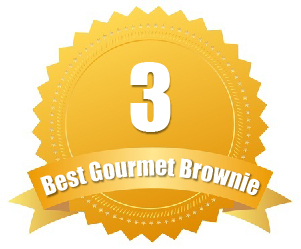 Unsure which brownie variety you prefer? Ruth’s offers both cake-style and fudgy-style brownies, so you can try both and decide for yourself. If you are shopping for a specific holiday or occasion, Brownie Points is the perfect vendor for you. This bakery offers a rotating selection of seasonal gift packages and samplers, which vary based on the time of year and upcoming holidays. For instance, they currently have a wide selection of Fall-themed gift options, perfect for Thanksgiving. Their award-winning holiday assortments, wrapped in festive Christmas packaging, make your holiday shopping easy. Brownie Points also allows customers to shop easily by occasion, from a drop down menu on their interactive website. Special occasions included on this list include: Happy Birthday, Thank You, Sympathy and more. Brownie Points gift assortments range in price from their affordable $13.00 baby brownie six-pack to their decadent Double Trouble Basket for $212.00. Shopping for someone with Celiac disease? Brownie Points has you covered, with their gluten-free brownie flavors. A New York-based bakery bringing excitement back to life’s special events. This bakery is focused on helping customers find the perfect gift for every life event. They offer two brownie cake options, as well as a brownie cake sampler containing four miniature cakes—fun options for any special occasion. 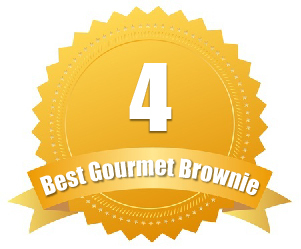 Bake Me A Wish also carries two specialty brownie gift assortments, as well as four other assortments which include their gourmet brownies in addition to some of their other popular baked goods. All of their gift sets are packaged in their signature gift boxes with a personalized card. However, if you have a specific occasion in mind, their packaging can be customized for 12 different occasions including Season’s Greetings, Happy Anniversary and Get Well Soon. Festive brownie cakes from Bake Me A Wish range in price from $34.99 to $39.95, while their assortments and samplers start at $39.95 and top off at $74.99. Wondering how these goodies arrive fresh? Bake Me A Wish spent over a year consulting with engineers to create their current delivery method—which guarantees your order arrives fresh and ready-to-enjoy. This New England bakery carries six brownie samplers and packs perfect for gifting. These assortments range in size, with a small 12-brownie set and a deluxe 72-piece sampler. If you are looking for something smaller, Vermont Brownie Company also has their brownies beautifully-packaged in sets of two and three—perfect for a party favor or lower-priced gift. All of this bakery’s brownie sets can be packaged in five different variations of their signature-box with their adorable sheep logo. These packaging variations, with themes including Winter Night, Autumn Day, Blue Sky and Lots of Love, ensure you find the perfect packaging for every event and occasion. All of their gourmet gift sets also come with a complimentary card, notifying the recipient of your generous gift. Two and three-piece gift sets range in price from $8.00 to $12.00, while their larger gift assortments start at $39.50, topping off at $236.00. Want to make a more lasting impression with your gift? Consider giving a subscription to this vendor’s three, six or 12-month brownie gift club. A New England bakery, specializing in artistic and delicious gift assortments for the special events in life. Dancing Deer specializes in more than just brownies, and customers can choose from gift baskets and towers that include a delicious assortment of their cookies, brownies cakes and chocolates. However, if you prefer to stick to our favorite treat—brownies, Dancing Deer also carries a wide selection of festive brownies gift baskets and treats. Aesthetics are very important to Dancing Deer, and they strive to make their packaging as alluring as their baked goods. All of their gift sets are packaged in wooden boxes, woven baskets or other specialty packaging, with specialty wrapping options for holidays and special events. Just a few of the themes customers can choose from include Thank You, Congratulations and Happy Birthday. Assorted samplers of baked goods range in price from $19.54 to $149.99 for a more deluxe option. Dancing Deer’s brownie samplers start as low as $14.99, and top off at $44.99 for a 16-piece brownie tower. Shopping for a special occasion? Sugardaddy’s Sumptuous Sweeties offers 20 ribbon options to customize your gift for almost any holiday or event! Read our Review of Dancing Deer Baking Co.